At 11 p.m. last night, I was in my kitchen doggedly trying to complete the canning project I’d started hours before. I’d made stock from a turkey carcass a friend had given me (knowing that I didn’t get a chance to roast a bird, this friend froze his remains for me after all the meat was picked away. I know such good people) and was nearing the end of the process. The stock was strained, defatted, funneled into jars and in the pressure canner when tragedy struck. A jar broke. I had just put the lid on the pressure canner and was venting it before beginning to raise the pressure when I heard a quiet snap. Though it doesn’t happen to me often, the sound that a jar makes as it cracks is etched into my kitchen existence and I recognized it immediately. After a few choice expletives (my grandma Bunny called it “work language” and would have certainly approved its use in this circumstance), I pulled the lid off the pot and surveyed the scene. The stock from the broken jar was draining out into the canner and there were several chunks of floating glass. I pulled the good jars and set them on a cutting board (wood is always better in this situation than cold countertops made from granite, marble, steel or even formica). Using tongs, I fished the broken pieces out of the pot. Lifting the pot off the stove, I poured its contents into the sink, rinsed the pot and replaced the necessary water with the hottest my tap could produce. The pot went back on the stove over the highest heat possible with the lid on. My goal was to raise the temperature of the water back to near-boiling level as quickly as possible, so that my hot jars of stock didn’t have a chance to cool down too much before I was able to put them back in the pot. However, I didn’t want to put them back in before the water had a chance to heat a bit more, since I know that my hot tap water tends to be around 180 degrees and those jars were hovering right around the boiling point. The last thing I wanted to deal with was more broken jars. When the water was nearly at a boil, I returned the five remaining quarts of stock to the pot and began the process of venting, pressurizing and then monitoring the pressure. It was after 12:30 a.m. when the processing time was up. I was grateful to be able to simply leave the canner to depressurize and cool on its own and headed to bed. It’s vital to stay around your stove when canning, particularly in the beginning of the process. Had I strayed a few feet further from the canner, I might not have heard the crack of the jar and wouldn’t have known there was an issue until much later. This is particularly important when pressure canning, because a broken jar can turn into a projectile in the hot, volatile environment of the pot and damage the remaining jars. It also leaked all the stock out into the pot, which drastically changed my carefully controlled liquid level and could have caused issues during processing. Don’t freak out when a jar breaks. Take a moment and a deep breath. You’re already dealing with boiling water and broken glass, don’t add frenzied behavior to the mix. Use your head. Plot out how you’re going to tackle the mess before you start moving pots. You don’t want to be left holding a pot of heavy, boiling water without knowing where it’s going to land. Get the broken glass out of the pot as soon as it is practical. This is particularly key when it comes to pressure canning, but it’s always a good idea. 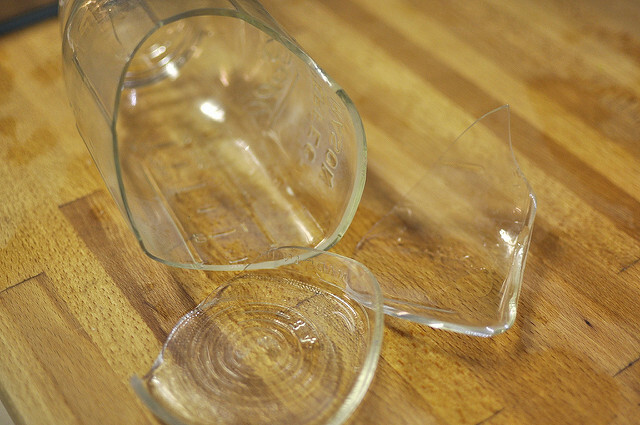 You run an increased risk of more broken jars if you leave it in there to bang around and it may also break into smaller shards. That turns clean-up into even more of a chore. However, if you’re doing a standard boiling water bath and it’s nearly done, you can let it go to completion and deal with the clean-up once the other jars are finished. If you have to temporarily remove full jars from the pot before processing is finished, remember to take care with them. 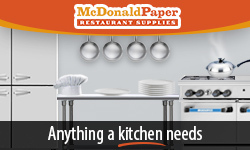 Protect them from heat shock by placing them on a wooden cutting board or towel-lined countertop. If your process was curtailed half way through, know that you’ll have to start your timer from the beginning when you return the jars to the canner. Always look closely at your jars before starting a canning project. In this case, I was using older jars that had already taken a couple of trips through the pressure canner in their life with me. That jar’s lifespan was probably just nearing its end. Now that you’ve heard my tale of woe, let’s hear your stories of canning misfortune. Have you had a jar break? How did you handle it? While I don’t have a pressure canner, I did have a pint jar full of whole plum tomatoes break in my massive water bath canner this summer. I was processing 7.5 quarts of whole plum tomatoes. Everything was going fine until my timer went off and I opened the lid. At first I was utterly confused…how did a plum tomato sneak out of a jar? I fished it out, then found another. As the boiling water settled, I saw the broken wide mouth pint jar. I pulled out all of my quart jars, then fished out the broken glass and set it on a pizza pan to cool. I was able to let the liquid and rogue tomatoes cool before dumping down the garbage disposal in my sink. Luckily for me, it was only the pint jar. I asked Marisa about this over Twitter, and explained that our wide mouth pint jars are also our favorite cereal and yogurt breakfast jars. She let me know that using metal utensils in glass jars can weaken them, hence the break. Now I have breakfast jars and canning jars, and ne’er shall the two meet. I’ve been canning for just over a year and I had my first jar breakage a few weeks ago, although it didn’t occur during the actual canning. I was making my first attempt at making homemade yogurt and I’d just gotten the milk up to 180 in a half-gallon Ball jar. For some reason the recipe I was using suggested speeding up the cooling process in an ice bath so I prepped an ice-bath for the jar. I didn’t really think that one through and what with the 180+ degree jar and the freezing cold water, I heard an immediate snap and very quickly had a sinkful of watery milk. Luckily the break was in the sink so all I lost was a jar and some time. And I managed to make some pretty delicious yogurt the next day! I like your spot-on advice to keep calm and have a plan. All that boiling water/heavy items combined with panic is a recipe for disaster. I have had jars break in my large canner, but not completely spilling their contents into the water. I fished out the broken jar with rubber tipped tongs and let the other jars go and ahead and finish processing. I cleaned the jars after they came out of the canner but they were just fine and I dumped the water and glass before processing the next batch. I’ve come to carefully examine my jars: any hairlines or signs of cracking are retired. It’s a bummer to lose a full jar of hard work! I have several of the ancient gasket canning jars that belonged to my great-grandmother… and possibly her mother. They’re blue now, as many are. I, stupidly, decided to make some pickles in them for my brother. As I put the first one into the BWB canner I heard that telltale SNAP and knew that the jar had cracked. It didn’t die but did suffer crippling injuries. I still have it as a reminder that my antique canning jars are henceforth relegated to a strict diet of dry goods and yogurt. I wouldn’t worry too much about it, and just finish the processing as normal. I agree with Lelo’s assessment that this is a bummer rather than a crisis. In the pressure canner, I would certaily not open the lid just to remove a broken jar, even if the canner weren’t yet fully pressurized. I appreciate the risk of “shrapnel” damagin the other jars, but my rule is that once the lid is on, we’re on auto-pilot and I follow my pressure canner procedures throughout. If my jar were to break upon putting it in the canner with the lid still off, I would fish out the glass and try to bring the liquid back to temperature as quickly as possible without removing the other jars. The hot broth won’t hurt the other jars or the process, it’ll just make things a little messy. I’ve been through my state’s Extension service training as a “Master Preserver” and we were never warned about any problems resulting from a little broth (or tomato, or peach for that matter) in the water other than stickiness. I too have had jars break while pressure canning and I just crossed my fingers and continued on. I never thought about the broken glass breaking other jars. My only problem as been that once I take the jars out they are dirty and hard to clean. I agree – it is just a blip on the radar. Usually it happens later during the process… just keep on going. In most cases, the jar will remain somewhat intact, in its space. The liquid level won’t change much actually…. the jar of liquid was already taking up space inside the jar… now the liquid is out side the jar and the water is probably inside the jar… Unless you are canning 1/2 gallons, the difference in the water level is not going to be much at all. After the jars are done cooling, some dawn dishwashing soap on a wet cloth usually cleans the jars off well. 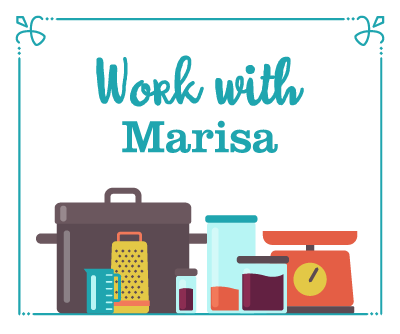 The hardest mess to clean so far for me is canning tuna and a jar breaks – that is really really oily ! I think I would have just left the broken glass in there until the processing was done. Maybe I’m wrong, I don’t know. I do know that the spilled contents of the broken jar shouldn’t have raised the water level too much if you were canning pints, because most of the jar’s contents were below the pressure canner’s water line already, albeit inside the jar instead of out. I’ve had a couple jars break over the years in the water bath (shockingly always canning jars, never the re-purposed mayo jars and such), though most of this was back when I thought I was too cool for a rack. My worst experience was having a jar of dilly beans break just outside of the canner — my friend touched it after we had set it on the counter to cool, and there was an instant cascade of hot, sticky brine, along with several thousand mustard seeds, all over the floor. Disaster. It ended about the same time that your experiment ended. Jimmy and Mike, it was a full quart of stock that was released into my canner, which with the number of jars in there, raised the water level well above the approved line. The pot was fully depressurized at the time the glass broke, so it felt appropriate to take the steps I did. I had a jar of apple pie filling break while processing in the water bath. I didn’t discover it until the end, but that made for an even hotter, stickier canning session. Such a mess! Freeze turkey broth instead. Much easier. Sadly, I don’t have nearly the amount of freezer space I’d need to make that a viable option. When it works, pressure canned stock is the best thing ever. It just occasionally includes a mishap. 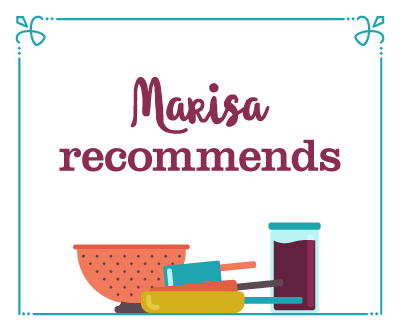 I heartily agree, Marisa. The main reason I got into canning was because my freezer could hold no more and I lived in a 1-BR condo, so getting a big chest freezer wasn’t an option. The other benefit is readiness. There’s nothing like having a jar of homemade stock or marinara ready to crack open and use immediately–no defrosting and no watery separation (in the case of the marinara). I actually had my first blowout a couple weeks ago on a pressure canner full of marinara. I think it was an old jar that was just ready to go AND I did two layers, so there was probably more banging-around on the bottom of the jar than usual. In this case, I didn’t catch it till processing was complete so no harm done, just messy red sauce cleanup. Incidentally, I’ve been pressure cooking and canning for quite some time and I’ve never read anything indicating that the liquid level is an exact science–only that you should, “follow the manufacturer’s instructions and never fill it more than 2/3 full.” In fact, recipes for cooking rice or dry beans in a pressure cooker often call for varying amounts of water depending on the absorbtion rate of the food–not to maintain a certain level of water in the pot. Some recipes even expect most of the water to be gone by the end or expect the food to exude water as it cooks. If you think about it, pressure canning/cooking is really not much different than say steaming veggies. The objective, I think, is to just make sure that your water level is high enough so that you don’t run out of water and so that you have enough liquid to maintain a full pot of steam for the length of the cooking session. I’m not so sure it matters how much of the jar is under water since the water and the steam are under the same pressure. Also, tall pots (like mine) instruct you to do two layers of jars, which means the top jars won’t be submerged at all while the bottom ones will. It’s all a rather interesting discussion–I’d love to know if anyone has seen written reference to water level being extremely important and why. Ya, i was always under the impression that the water line was so you did not boil away all your water during the process. I had a quart of Tomatoes break this summer in the pressure canner and just kept going. My pot was already under pressure and i did not feel like dropping it back down and re-starting. Everything turned out fine, but messy jars that needed cleaned. Anyone have any more information on the water line and if it is necessary to not go over the line? I was *just now* making your pickled green tomato recipe, and one jars broke in the pot on the stove! The bottom simply blew out from the rest of the jar. It happened in the last few minutes, and didn’t realize until my timer went off. Very sad. I processed the second batch with a towel lining the bottom, in case it was getting too much direct heat through the bottom of the pot. And notice the standard break point, right there at the bottom, probably caused by overly aggressive bubbling with a metal object by a previous owner. The most annoying thing about this is that you usually can’t see the scoring. Every single time I’ve had a jar break, that’s where it’s been. (Um, except for the one time that I tried to do tomatoes in the pressure cooker in mayo jars. Chalk that one up to stupid Audra tricks). But good save for the rest of it! I, too, suffered a break in my cold pack canner while canning tomatoes this summer. Actually, my husband suffered the break, as he was the one doing the putting-up that night. We lost two jars to the mishap, but since it wasn’t in the pressure canner we just removed the good jars, fished out the glass, VERY heart-brokenly discarded the lovely home-grown tomatoes from the broken jars, then rinsed the canner and started again. Thanks for this post, by the way — it’s VERY helpful and I’m glad I’m not the only one! I have had this happen with a jar of pickles in a water bath and pretty much did exactly what you did. Glad you posted this cause I always wondered if I did the right thing. Just guesstimated the temp after cleaning out the glass on the fresh water and everything turned out okay. I love the term “work language.” I’ll be using that in my vocabulary from now on! I do think I would remove the lid on the pressure canner like you did because I’d be afraid anything but water steam would gunk up the valves or whatever they’re called. I’ve only had one jar break….I’ve been too embarrassed to mention it to anyone before. I was putting up clementines- and missed putting syrup in one jar. It actually made it through the canner with no liquid inside, cooled ok, but when I picked it up to see why it looked odd, the bottem stayed on the towel while I was left holding the rest (and “work languaging” at myself). 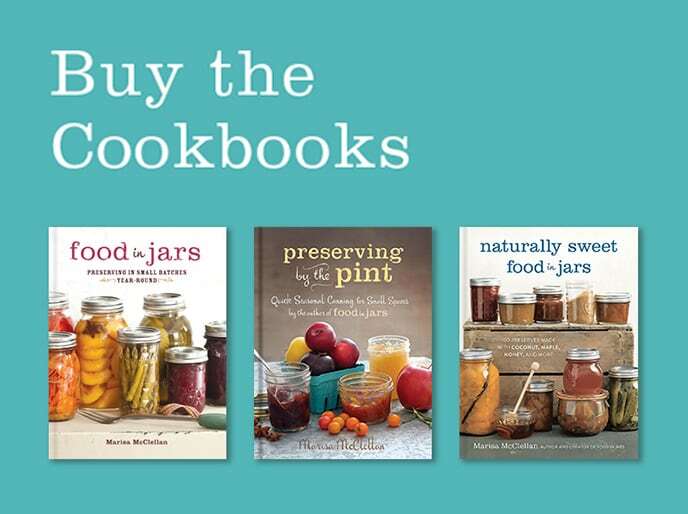 I’ve been lucky — none of my jars have broken while canning. But twice now, I’ve had a couple of jars chip when I open them; somehow the seal on them is so strong that when I open them back up, some of the lip of the jar chips off along with it. The only thing I do is discard the jar (I’m already dumping the food into a pan and cooking it anyway). The one time it happened was during a water bath canning process. I was amazed at what a clean break it was (found it kind of interesting in a geeky kind of way) and was most upset about a jar of delicious applesauce now ruined and floating in a most unappealing way in the water! Thank you so much for talking about this! … it’s nice to know that it has happened to so many other people too. I, fortunately, only had this happen once this summer but I was still very surprised because it was with a brand new (just out of the box) jar. I was processing vegan lemon curd & I didn’t know what had happened until I opened the lid of my water canner once the time was up & thought “Why is my water all cloudy?” – I thought maybe some had seeped out from the top of a jar. I picked up one jar, lid intact, jar empty? – to find a perfect circle of glass in the bottom of the pot that used to be attached to the rest of the jar. I’ve been processing my jars the same way all summer with no problems so I was wondering if it was something I did … but I guess it just happens sometimes. I will mention though that I’ve found other new jars before that almost looked like the glass has “rippled” on the inside that I didn’t use for fear they would break in the canner – so they were used as sample jam jars instead that didnt need to be processed. I broke a jar just earlier this week, but not from canning. I was trying to get the lid off a jar that used to have yogurt in it, but I hadn’t washed it yet. The lid was stuck and my hands wet, down the jar went, shattering into small pieces. Sad. No big loss, as it was just an old salsa jar. It happened just last week with a jar of quince chutney in the water bath. Oddly most of the chutney stayed in the jar until it was on the board, which led to a messy kitchen, but a relatively clean water bath. I just kept going to water bath the remaining jars, and washed the bits of quince off afterward. Worked just fine. My only broken jar was not a huge deal, since it was in a water bath, but it was sad because it was a small batch of 1 pint and 1 half-pint, and I lost the pint! Good advice- I have had quite a few canning catastrophes in the past and I have never handled them as well as you handled that one! We have amassed a good number of half-pint, wide-mouthed jars that we’ve used for everything from transporting mochas in the morning to putting up peaches for the winter. We’re a small family, so this size suits us well. In combination with my electric teakettle, I’ve taken to warming a couple jars of spiced cider in a pan of boiled water, baby bottle style. Jars sit in the pan with cider in them, water’s boiled around them, and five minutes later, voila, instant hot cider. The other day, I went to pull one of these jars out of the pan to pour in to a cup, and lo and behold, I came away with everything but the bottom of the jar, which had cracked clear off in one continuous, round break. The cider had dispersed itself into the pot, making it a cloudy brownish color. Whoops! Luckily, I was just warming cider 🙂 not canning. But even the ultra-reliable mason jars, I guess, have their lifespan. Great post! Super helpful suggestions! My sister and I can about 150 lbs of tuna a year. We loose at least one half-pint jar per season. We have learned to stop as soon as we know it happens, clean up the enire mess and start over with clean pressure canner and clean water. The first time, we didn’t find it until we were taking finished jars out of the cooker. The result was that the fatty residue gets cooked onto the other jars and requires a soap and water scrub to remove. Kathryn: you don’t need to boil the jars, just set the cider filled jars in the water and heat it gradually. The cider will heat without boiling (and thus, bouncing) the jars in the pan. Or put a screen in the bottom of the pan to keep the jars off the pan surface. I love your Grandma Bunny and her work language — my husband will get much use out of that phrase! Not canning long enough for broken jars, but when I was brewing beer and had it bottled and stored in an upstairs closet I kept hearing this funny popping sound and discovered when it was time to test that batch of beer that the bottoms of several bottles had cracked right off intact and of course the beer had soaked into the carpet! No wonder, that batch had way too much carbonation . . .
Wow, definitely something to keep in mind. I’m interested in starting to can my own things, but any tips are appreciated! I hate it when a jar breaks! And of course its when you’ve been at it for hours and are trying to just get done. Late last night I had two quart jars of plum tomatoes crack with that oh nooo sound, while in my boiling water canner. One jar was old, and the other a newer canning jar. So I was wondering if this had something to do with the high heat the burner was on, combined with my rack sitting too close to the bottom of my old speckled canner? Does the jar rack need to be elevated off the bottom of the canner, if so, by how much?Hope someone knows the answer! Yikes, I don’t know why that happened. Where the jars jiggling excessively? Just had two jars of peaches (lovely, fresh, bought from the grower peaches) break in the water bath canner. So sad. It’s never happened to me in many years of canning. It’s a horrible discovery and such a waste. Both jars have been around a few times but looked OK. I have been canning with either my grandma, mother, uncle or alone for all my life. Thousands of jars. Same water, same pots, utensils, old jars, new jars, metal objects in them all of the time to scrape out mustard, get the pickle with a fork, etc. Water level never really mattered as long as they were covered quickly as you put the jars in to be processed and it needed to cover the jars. Pressure canning as far as i know it does not matter if a broken jar is in there either. My big question is why more jars are breaking for me these days. I have bought new jars over the years and mixed with the old. I am suspicious of the quality of jars. I NEVER had jars break until the last few years. I think they are poorer quality, not tempered correctly, and we all need to be more careful with keeping them from experiencing big to not so big temperature differences through the process. Ie keep them in hot water if they are waiting for the bath, pressure canner, etc. I am also going to follow the awesome advice of the lady who put the towel in the bottom of the pot. Brilliant! this will dissipate the heat! I think we are going to put small wood spacers on our rack so it holds it up a bit from the thin metal bottom and the flame directly underneath. I think I have a vague memory of some of my relatives having little feet of some sort on their racks, come to think of it. Or were the wires curved to make better feet? Oh my- did they start making a cheaper rack and now we all have more broken jars? Very likely in our cheaper everything world. I am also going to try not tightening them as tight as I used to so that any air can escape more easily. I hope that it work cause I am sick of broken jars. The next step will be calling Kerr/Ball and seeing what they have to say about it!! Thank you everyone for all your stories- good to know I am not alone in this struggle! Sigh…a whole day of work creating tomatoes sauce from the tomatoes, carrots, onions, and celery I nurtured in the garden this summer and 2 of the 7 quart jars cracked in the pressure canner today. I don’t think I did anything unusual? I also had one smaller jar cracked yesterday with our salsa. Whats up? Any tips? I am afraid to do anymore. I have canned some pickles and jams over the last year and today had a jar break in the water canner. This was a brand new jar and only one jar of 7 broke. It was a super clean break, as if you could super-glue it back together. I think it may have had to do with the way I heated them before filling them. Because I was planning to fill more than 6 pint jars with pickled beets, I loaded them standing upright in the water to get them hot. This is not what I usually do, but since I wanted to fit as many as possible in there, I arranged them this way. There was some jostling around as the water heated up which makes me think that maybe the jar got damaged in that process. I’m not sure when it broke, although I was in the kitchen the whole time. I was disappointed to lose a pint of beets, but I think I’ll avoid standing the jars upright when I heat them next time because breakage has never happened when I’ve heated them that way. Thank goodness you posted this answer, i had just had a jar of precious apple butter break in the canner, and i thought to myself, “hmm…what do i do now? To the Internet!” i was worried it might affect my whole batch. but all should be well….albeit sticky. 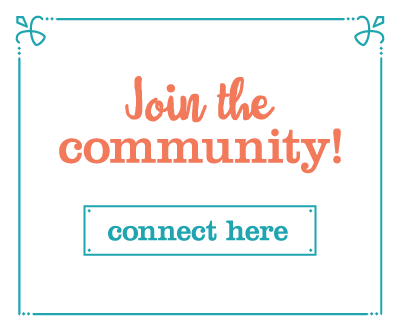 I’m relatively new to canning, teaching myself from books and the net, so your blog has been invaluable to me! phew, back to the canner, it’s time for the next batch. I’m a fairly newbie canner (at least without my mother supervising!) & today making apricot chutney I had a serious break in my hot water bath (well, the jars bath, not mine….). My first thought was “ack! 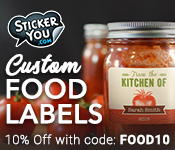 check Food in Jars and see what to do!!”. Yet again you came through. Thanks! For the record, the pot looked disgusting but the chutney that survived is amazing! I’ve been canning for thirty years and never had a jar break before tonight. I was making a new recipe for Canned Apple Pie Filling and two out of seven jar bottoms broke away when I lifted them out of the canner. It was just a short 20 min. process and it was not boiling hard. I maybe had the metal rims tighter than I normally do?? Also, I had sterilized the jars in the oven prior to processing which was a first for me. Interesting to see a previous comment about jars breaking in a canner after being sterilized in the oven…. My jars are babied compared to how most people use them. Finding myself at the end of my rope with broken jars, I began searching the internet for answers and happened upon this thread. I’m of the same mind with #37 Sharon, about the quality of the jars now produced. I use my 2 quart mason jars for making kefir water. If you’re not familiar with it, it’s a slightly, and I do mean very slightly, carbonated probiotic water you can make at home. If you want it more carbonated you have to do a second fermentation in bottles designed to hold a carbonated beverage. I’ve been making it for 8 years and for the first 7 years I used the same 2 jars. Never any metal utensils, the kefir doesn’t like metal, and everything is done at room temperature, except using hot tap water to wash the jars from time to time. Last year one of my jars cracked around the bottom while sitting in a cupboard, 2/3 full of water, room temperature, with the lid on VERY loosely. I’m always careful to check the lids because kefir releases gas as it consumes the sugar water and I never wanted a broken jar and a cupboard full of sugar water. Fortunately when the jar cracked no liquid leaked out of it before I found it since I check my jars every day. I thought perhaps I hadn’t been careful enough with the lid so I stopped using the lids altogether and switched to what many recommend, a cloth covering secured with a rubber band, which would completely eliminate the risk of gas build up. I cut up an old pair of stockings and used the thick control top portion cut into squares for new covers. The main reason for wanting to cover the jars is to keep out bugs. Fruit flies like the sugar water. The crack in the jar wasn’t that large. It looked almost like a half circle down at the base of the jar, less than 1/4 of the way around. I tested the jar to see if it leaked and it didn’t, so I kept using it. It lasted another year and then last month I checked my jars one day and saw that the cracked one had cracked yet again, now 3/4 of the way around the jar. No big deal. I figured it was an old jar and I’d gotten a lot of use out of it. I went to the store, bought a couple new jars and one of them cracked the third day I was using it! All these jars have in them is sugar water and kefir grains, they’re only half full, and covered with cloth not tight lids. I couldn’t believe it, but I guessed the jar must have been defective and was glad I’d thought to purchase 2 so I had a back up. I got through one successful fermentation of kefir water and then on my second batch, when the new jar had only been in use for 5 days, it too cracked!! So now I’m ticked thinking you’ve got to be joking. I’ve been making this stuff the exact same way for close to a decade with no problems, same ingredients, same cupboard, cloth covers now to eliminate every possible problem and now I’ve got 2 broken jars, seriously? My husband picked up 2 more the very next day , the same Ball brand, wide mouth, 2 quart mason jar I’ve always used, and last night I discovered one of those had also cracked, this time the worse crack yet and 1/4 of my liquid had leaked out into my cupboard. Nice. After reading many websites about kefir to make certain I wasn’t inadvertently doing something wrong, I’ve eliminated every possible problem except the jars. They’ve got to be defective or really poorly made because mine go through nothing compared to someone who’s actually canning food in them, yet they keep breaking. And all have broken in the same way. Another website says that you can tell by the break what caused it. “Thermal shock is characterized by a crack running around the base of the lower part of the jar, sometimes extending up the side.” That’s exactly what happened to each of my jars. It goes on to say, “To prevent thermal breakage: Avoid sudden temperature changes, such as putting hot food in a cold jar, putting a cold jar in hot water, or placing a hot jar on a cool or wet surface. Keep jars in hot water until filled. Use a rack in the canner. Avoid using metal knives or spatulas to remove air bubbles or steel wool pads to clean jars.” Done, done, and done. My jars are exposed to none of these things yet they keep breaking. I know the quality of so many products has diminished over the years but these jars have got to be strong! Especially to stand up to the rigors of regular canning. So now, the solution…. still working on that! What do I do with my other jars that were in at the same time when one breaks. keep them or threw them out too. I was making pickles. thanks. You don’t need to throw out the other jars in the canner. There’s really no way for any broken glass to get into the other jars. Thanks!!! Just had my first break … Im assuming thermal shock. I just let the other 3 jars continue processing. A halfpint of apricot jam swirling in quarts of water is kinda gross tho. I am new to canning. I just had two pints of Dilly beans break in the water bath. I have read all these posts and it seems to me that there are a lot of experienced canners who are dealing with breaks now. I think this may be a manufacturing problem. Just a thought. I love this blog by the way! I have been canning with a pressure canner for about 15 years. I didn’t have a jar break until a day ago! I was ticked off to my dissmay I didn’t know what to do with the other jars in the canner. I was going to throw them away, thinking some glass may have entered in them. Thanks for your advice just to wash them off and to keep them. Which leads me to tell you all about my big misshap a few years ago!!!!!!!! I had worked on cleaning 1 bushel of hungarian hot peppers. That is washing and de-seeding. stuffing them with saurkraut,packing them in widemouth canning jars,making a homemade brine, which in itself is very teadious. It takes about 8 solid hours to do this all. And not really taking the time to cover the jars, to make sure nothing gets into them before putting lids and bands on them! They were all on my counter top beside my kitchen sink, to my right side. I don’t know what I did in order to knock 2 jars off the counter, but it happened. To my amazement the first jar did not break hitting the ceramic tile floor, but the second hit it and they both broke into a thousand——- pieces!!!! I too did not overly react to the situation,until i noticed a long sliver piece of glass on my counter top beside my 28 other jars of stuffed peppers….. At this point I had to do what was the best and it was to throw them all down the food dissposer drain. This taught me so much about taking the time in preparing for canning than any thing a person can read in a magazine. It taught me patience in the kitchen. Take your time. It really does pay off. Now I prepare 7 jars at a time. Put them aside and then I do 7 more and so on….In the end I know my friends really enjoy my peppers and so do I. Their worth all the time it takes to prepare them……. a c f l …….. a canner for life………. So first a little background info, back in 2011 hurricane Irene did serious damage to my basement and house and I ended up losing all my canning tools. So I did no canning in 2012 due to work on my house and finical and time constrictions associated with that project. I am getting back into canning this year. I use a 40 qt stainless steel stock pot and a graniteware canning rack for their 33 qt canner. The first thing I did this year was jam at the time I use a cake rack because I had not found the granite ware canning rack. I did 72 half pints of various jams and no cracked jars. Next I was doing pickles with the granite ware rack immediately my jars started to crack as soon as I put thin in the water and they rested on the bottom for about a minute then you’d hear the all too familiar pop! I struggled through with the pickles and after went to the internet to see if anyone had any ideas about what to do. 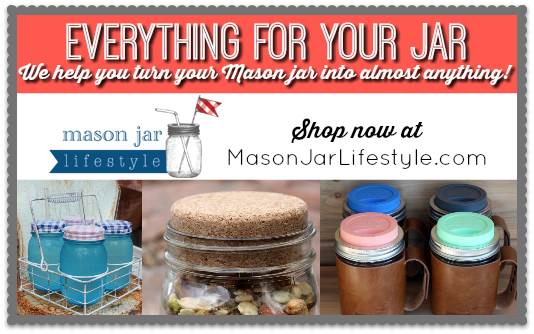 I found this blog and after reading it came away thinking it must be defective jars. Now here is where the Canning Gods come in. That night while I was dreaming a fire encased mason jar approached me looking like a Hindu god and singing bollywood show tunes. It spoke to me and said your old canning pot had an undulating bottom and was encased in porcelain. Then it said use the bands and flew away. When I woke up the next day It dawned on me to use the extra jar bands as a spacer under the canning rack. I used 8 jar bands to hold up the canning rack and proceeded with the days canning. Not a single jar cracked. Although the band did stain and also stained the bottom of the pot it was not that hard to clean up. I am currently looking for some kind of ceramic spacers to but under the bottom of the rack so it will not rest directly on the pan. The bottom line is I think the reason we are all seeing cracked jars is not because the jars are defective but our canning style has changed. Most modern canner use all metal pots to can in as apposed to the old style porcelain canners. The porcelain acts as a kind of insulator between the jars and the metal of the pot. The real function of a water bath canner is the same as a double boiler. To keep what you are cooking above the metal that is directly on the stove. If you make sure you have some space between the bottom of you pot and the bottom of you rack you will eliminate the cracking jar issue. That is my experience any way your mileage may vary. Hi, I am very frustrated!! My husband bought me a new stainless stell anner last year, which I used for canning quart tamoes, not a problem. This year I am canning cherries and out of 15 qarts 4 broke while in the canning process, I checked to see if he wire rack was to close to the bottom of the canner but it has little legs to keep it up. Is my water to hot? I am using propayne heat. Never been a problem in the past. One jar I can deal with but 4!!!!! Something is not right. Any ideas??? Judy, it sounds like the issue is with your jars. There’s no way for the water to get too hot for canning, as water boils at 212 degrees and can’t get any higher. Are you using old jars? Or, are you putting cool-ish jars into a boiling pot? Whatever the reason, I believe it’s simply a fluke, as from your description, it doesn’t sound like you’re doing anything wrong. Just now tonight we filled our jars that were warmed in a pot of hot water, filled them with brine and cucumbers and placed them in the water bath while it was building up to a boil. We then lower the rack into the bath once we had filled all of our jars. The water soon was boiling. We heard the pop and one broke, 5 minutes later another broke. Two quarts out of seven broke and these were new preheat heated in hot water jars with hot brine in them so i don’t think temperature change was an issue. Are the jars new or old? If they’re new, I’d recommend contacting the manufacturer, as you should not be experiencing that kind of breakage. If they’re old, I recommend more carefully checking the interior of the jars for scratching and crazing. That can lead to breakage. I was making squash pickles today and one of the pint jars broke in the canner. Since these were new jars that I preheated and filled hot, I think what caused the one jar to break was packing the sliced squash a little too tight in it. Any thoughts on that? Heidi, sometimes jars just break. It could be that there was a flaw in the jar that led to the breakage. I don’t think it’s because you overfilled the jars. This was my first attempt at canning pickles and my story is almost the same as Josiah’s. Filled my warm jars with cucumber and hot brine placed them in the water bath of boiling water. some checking I think maybe I tighten the jars to tight. Is that possible? I’d like to try again but a little skeptic right now. I had a jar break tonight while canning tomatoes. Instead of pouring out the hot water from the water bath canner into the sink, I used that water to keep my tomatoes jars warm. I had my first cracked jar tonight, I had quarts of peaches in and when I removed them a jar had a huge crack along the side, and of course that jar popped down and it was a race to unseal it before the pressure from the crack created a mini glass and peach explosion. Brand new jar too, what happened? And, we just have a cracked jar, no shattered glass, is it safe to eat the peaches tomorrow if I throw them in the fridge overnight? As long as you can be certain that there are no glass shards in your peaches, they should be safe to eat if refrigerated. Sometimes jars just break. Oh boy. Put the last quart of applesauce in my boiling water caner and heard that awful”ploofpt” explosion. Yep. A jar broke. The whole bottom fell out. I grabbed my jar lifter and pulled the remaining part of the jar out. I couldn’t get deep enough with my tools to fish the broken bottom out, so I just let the rest of the applesauce process for 25 minutes. Is there any chance that some teensy particle of glass could get into the applesauce of those jars? Thanks for posting this, Marisa. I don’t know if the shock of the one jar breaking also damaged the other jars, but they have tiny cracks all the way down the sides of them. My plan is that once they’ve cooled I’ll move them to jars in the fridge and assume they’re not shelf stable. Argggh. Super frustrating, but really helpful to know that it’s not just me that’s ever had this problem! I think there has been some bad jars being made lately..I had a brand new case of BALL quarts and had one break on me…ruined my canning rack…luckily the store replaced the whole case of jars so that made me feel better about the situation. I was surprised about the jar breaking though since it was a brand new one! I agree! I’ve had no problem over the years with my old (handed down from my mom) GEM jars. However, new wide mouth Home Discovery jars that I bought a few years ago do that constantly. Every time I can at least one of those cracks. I’m now no longer using them for canning, and sticking with my tried and true old GEM jars. I canned in the 60s-70s using a boiling water bath and occasionally had jars crack perfectly around the bottom of the jar about an inch up from the true bottom. Lifting the jar out, and whoosh, everything emptied into the boiling water bath remains. Just chalked it up to old jar or crack in jar I didn’t notice. I’ve used my friends pressure canner and never had that happen. Now I have my own pressure canner and used it only once. Not experienced cracked jars in my new canner yet. I’m having a problem with jars cooling too much while I’m stuffing them. In this case with dilly beans. The jars cooled significantly while being stuffed assembly line style- beans take a while to jam into 7 quart jars tightly. I added boiling vinegar solution. Fine. Added the cans back to the rack. Fine. Lowered the rack in the canner. Pop! I cleaned out the water in the canner, temporarily moving the remaining jars to a towel on the countertop, added the hottest water I had to the pot, put back in the beans while the water was still coming to a boil. My thought was that I would rather risk mushier beans than risk another jar cooling too much while the water was waiting to boil. What would you recommend to help this problem in the future? Would you put the jars into the canner as you filled them, even if there was a significant time gap between the first jar and the last? i broke 3 jars out of seven tonight while pressure canning meat . i heard each of them snap right at the beginning of the PC run . im pretty sure i should have heated the water and jars of food much more slowly . the bottoms popped out without a shard . i have one more rack to add to the canner too . this will keep the jars farther from the burner . i think the bottoms of the jars got heated by the burner ( on highest setting ) while the liquid kept the rest of the jar at a cooler temperature . ill get this right. i havent pressure canned in 15 years . So I heard a noise from my canner shortly after venting that I was sure most have been a jar breaking. It wasn’t but I checked and restarted the process again only a couple jars popped when I took them out to check on the lower level…are they going to be OK prosessing now that they sealed? As long as you put them back in the pot and processed as instructed, they should be fine. At just happened to me and I googled trying to find out why since I never had it happen before and I found this site. I was canning plum sauce and lost one when it went in the canner after reading this I guess it may have been too cool or an old jar so now I don’t feel too bad but I sill hating loosing one. Been canning for several years and just lost my first jar today. It was canned corn and I didn’t find it until processing was over. Corn all over everything. Blew the bottom out. These are older jars so I guess it’s to be expected but I sure hate losing that corn. Doing potatoes tomorrow. Hope I don’t get a repeat.